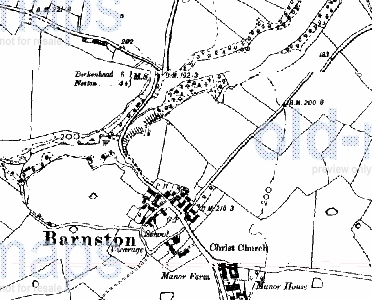 BARNSTON The name is thought to derive from a Saxon Chieftain meaning "Beorna's Town". The Doomsday book 1086 records the village as comprising of a Manor House, 2 Mills and a Hospital, since then a few more dwellings have appeared along with the granite boulder popularly known as the 'Barn Stone' swept from Scotland by glacial action, and now resting by Beech Farm. 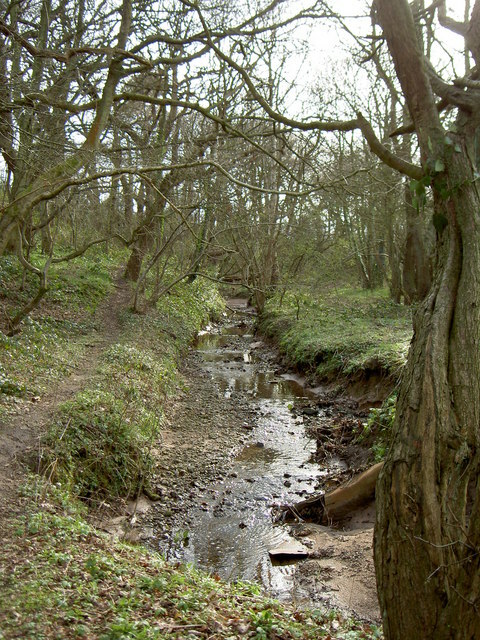 The village like many other Wirral villages was set on an outcrop of sandstone with a water supply from the stream in the bottom of the Dale. The Anglo-Saxon Chronicle gives an insight into the former wildlife of Wirral, with its description of ravens, wolves and white-tailed sea eagles. 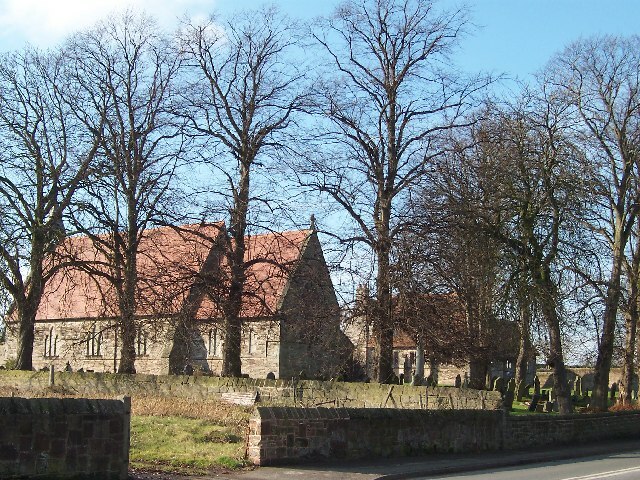 Barnston along with Pensby, Thingwall, Landican, Arrowe, Woodchurch, Irby, Prenton, Noctorum, Oxton, made up the â€˜Ten Townshipsâ€™ of Woodchurch Parish, most of them being cited in the Domesday book. The Old Manor House The Barnston Village original Manor House situated at the rear of the Basset Hound pub is approximately dated from early 1800s in front of the house stands a large sandstone barn which now, just like the Manor house; has been renovated and is a private dwelling . Barnston Towers was built in 1852 based upon an earlier building which was built from a circular brick castellated design and associated with a house and stables. 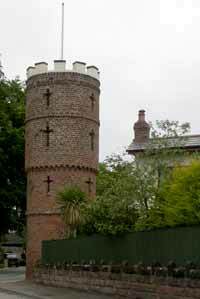 Two were originally constructed however one has previously been demolished.The building can still be viewed by entering the car park of the Basset Hound going down the steps at the back and following the small footpath.The tower may look like having old defensive battlements but is in reality a rather large gatehouse. Christchurch In 1870 a church (built from fine white stone quarried from Storeton), vicarage, and school were erected by Joseph Hegan Esq formerly of Dawpool. The church was consecrated as "Christchurch" on the 30th June 1871. The church has a narrow nave and chancel and an elegant open work wooden screen; which separates the chancel from the body of the church. When you are in our area, please come and visit us. For the driver shouts - get out and walk. 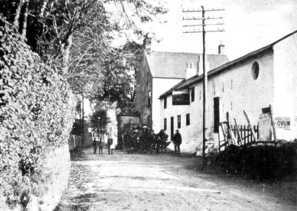 Phillip Sulley writing in 1888 stated "The village inn is a truly ancient house, resting securely on the red sandstone which here crops up frequently and formed, till lately; a delightfully uneven road way; a source of tribulation alike to both horse and passenger. In this old holstery, a model of neatness is to be noted a very ancient Cheshire custom, now fast expiring, that of tracing angular patterns on the tiles with fresh doc leaves each morning". The pub is recorded as the â€˜Black Horseâ€™ on Bryants 1830 map. By 1891 when it was known as the â€˜Sportsmanâ€™s Armsâ€™ and was in the hands of John Gertrey when Mrs Gertrey â€˜Old Pollyâ€™ became licensee she would paint the sandstone base of the building every morning with whitewash, and wash down the pub counter with paraffin wax.It was described as a modest house having â€˜One bed for travellers, accommodation and refreshment for ten. Stables twoâ€™. The Barnston Dale Phantom Fiddler The event of there being a full moon on New Years Eve is supposedly marked by the appearance of a ghost locally known as the phantom fiddler. 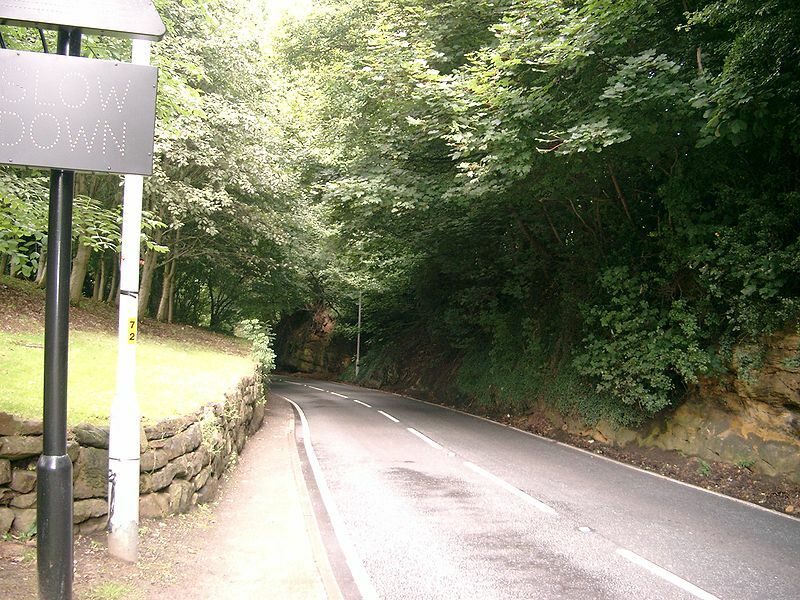 The ghost is of the genre of haunting by a musician (sometimes a soldier or even the devil) playing an instrument that can be heard by those present.This particular ghost is said to haunt the small valley, called Barnston Dale.The story of the haunting is was well established but nowadays few people have heard of it. It is said that the sound of music played on a fiddle can be heard along the dale and that witnessing the ghost will bring illfortune, madness or death. In the early 50's a couple are dared by the mans younger brother to go down the dale to try and see the fiddler. Taking up the dare they walked from his family's house the mile or so to the dale. It had been snowing earlier that evening and it had begun to snow lightly as they set out. Walking along Barnston Road towards the place where the road dips into the dale and crosses the river via a narrow bridge, they had just gone past a farm house on their left when they saw that they were not alone. About fifty yards ahead of them, also walking towards the dale was a man wearing what the couple thought looked like an RAF great coat. The figure could be seen easily against the white snow even though the road itself was ill lit. The wife found the figure unsettling and stopped the husband calling out to the stranger. She noticed that the figure appeared to have no head, although her partner rationally pointed out that the man could have his coat collar up and his head down against the weather. It was only when they came level to where the man had walked past a street light that they saw that he had not left any footprints. There were no other footprints on the path apart from their own and the snow could not have covered them in such a short space of time. They could still see the figure walking steadily on ahead of them, down the road towards the dale. Being unable to explain what they were witnessing the couple decided to abandon the plan and return home, what happened that night remained with them as something they could not explain. Their telling of the story never varied, even when asked for more details. The story teller finds the dale a particularly peaceful and pleasant place, although she admits that you do not feel alone there, and has friends that refuse to walk there and tend to speed up when driving through the dip. 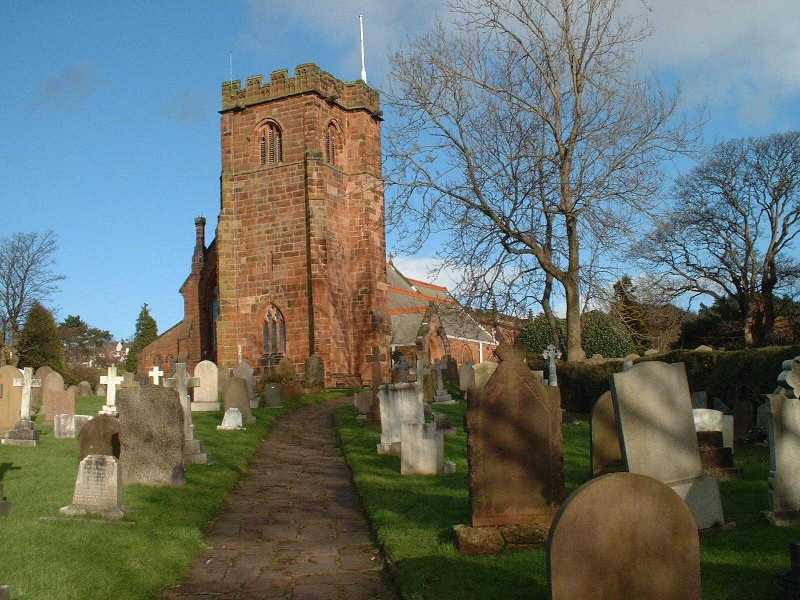 HESWALL Heswall situated on the eastern side of the Wirral was recorded in the Doomsday Book as Eswelle and owned by Robert de Rodelent, at that time. 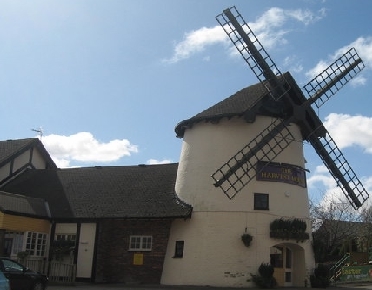 In 1277 it became the property of Patrick de Haselwall who was Sheriff of Cheshire, since then it has changed hands a few times through a series of marriages and sell outs. Up to 1897 it was known as Hestlewelle or Hesselwelle and the population since the early 1800s has leapt up with the influx of Liverpools wealthy merchants as the construction of two separate railway routes allowed easy access. The first tracks laid was the ill fated east coast route from West Kirby to Hooton in 1886 this had the original Heswall station in the Lower Village until the line was axed in 1956 and turned into The Wirral Way footpath using where possible the old trackbed. The second is the Borderlands Line from Wrexham Central to Bidston which opened in 1896. This line is still active and has renamed its station name from Heswall Hills to Heswall it is sited on the eastern edge of the town. 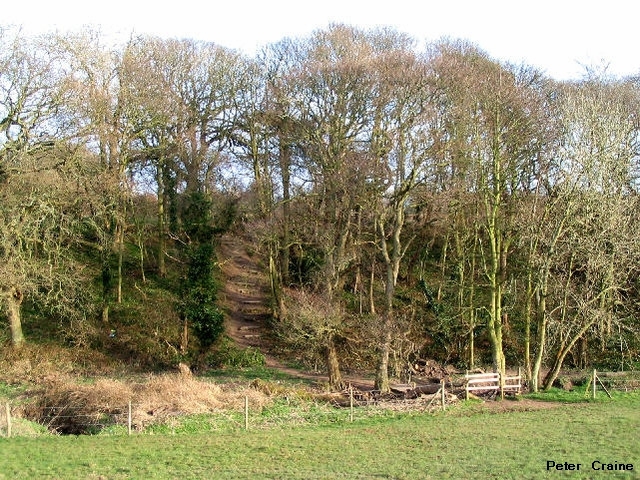 Heswall is said to have three parts: Higher, Lower and 'Heswall Hills'. Higher Heswall is centred at the junction of Telegraph Road and Pensby Road, this is where most of the shopping retail outlets are. Lower Heswall down by the Dee estuary is a conservation area that contains a good smattering of older buildings. Heswall Hospitals (as was) The Heswall Cleaver (consumption) or the West Derby, Liverpool and Toxteth Park Joint Hospital as it originally known opened officially on 20th October 1902 in Oldfield Road and it remained in service as a hospital until 1974 and finally closed in June 1983.By the 1920s it was known as the Cleaver Sanatorium after Mr HP Cleaver who was the inspiration behind its founding and being a sanatorium it was sited on the edge of the River Dee because the air was reputed to be pure which helped to restore the health of the tubercular patients. From 1913 until 1930 the hospital was used for children only, in 1939 the children were evacuated to Rhuddlan and adults were then admitted The Home Guard and the fire service used the hospital during WW2. The land was sold in 1988 for Â£2.5 million, the hospital demolished and Oldfield Gardens built on the site. The nurses home still remains as Cleaver Residential Home. 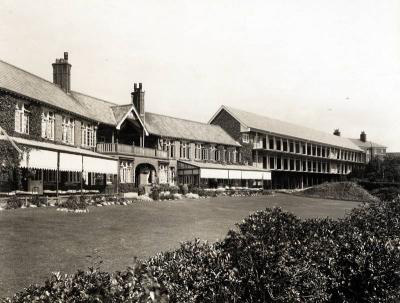 The other Heswall hospital was originally known as The Royal Liverpool Country Hospital for children and later as The Royal Liverpool Children' Hospital. This was situated in Telegraph Road on the present site of Tesco. The 9 acre site was bought for Â£2,500 in 1900. On Feb 15th 1909 the hospital was ready for its first patients, but the tower and clock were not finished till 1911. As with the Cleaver open air wards were opened in 1930 assuming once more that the clean sea air would benefit the patients. During an air raid of May 1941, several people lost their lives when incendiary bombs were dropped in Heswall, the matrons car was destroyed by one of the incendiaries landing on its roof. Patients came from a wide area and many of the children would only have visitors once a week. Many of the cases were long stay patients with hip problems, luckily an adventure playground was built with funds raised by charitable organisations, a landscaped area with paved paths to enable the children in wheelchairs to explore the playground. In 1910 Edward VII granted the hospital the right to call itself Royal, the hospital was closed in 1985 because of changes in care and many of the diseases treated in the hospital have been defeated by advances in medical technology. St Peters Church The date when the first church was built at Heswall is not known but the list of rectors dates back to 1300, the oldest part of the church is the base of the tower which dates from 1306 and has formed part of the three churches which have stood on the site since that time. The upper parts were added in the late 15th century, the rest of the church was rebuilt in 1739 then in 1875 the church was struck by lightning and seriously damaged. In 1879 the church, other than the tower, was completely rebuilt by J. Francis Doyle, adding the south chancel chapel in 1893 the church is built of sandstone with a slate roof. "Unto the Church, I do You call, Death to the grave will summon all" Heswall Decoy Heswall Decoy, the basic idea behind these was to start fires to fool the Luftwaffa. This was controlled from this small bunker. 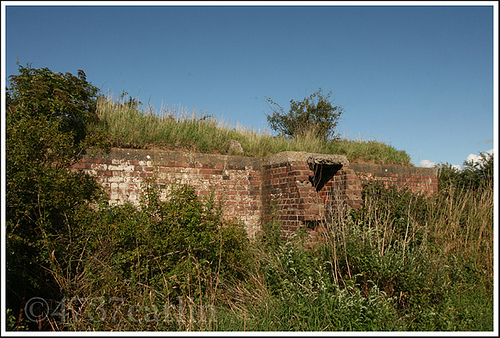 After the first wave had gone over to attack Liverpool docks the second wave would see fires below near this location, think it was the docks and bomb away at nothing.Today it looks like a simple brick building, but during the second world war places like this saved thousands of lives.This is all that remains today, you can see if from the Wirral Way coastal walk, the old railway line just to the south of Thurstaston railway station. The curse of the Crying Boy Painting In 1988, a mysterious explosion destroyed the home of the Amos family in Heswall, England. When firemen sifted through the burnt-out shell of the house, they found a framed picture, entitled â€˜The Crying Boyâ€™, which was a portrait of an angelic-looking boy with a sorrowful expression and a tear rolling down his cheek. But the picture was not even singed by the blaze. Not long afterwards in Bradford, there was another blaze, and again a picture of the crying child was found intact among the smouldering ruins. The head of the Yorkshire Fire Brigade told the national newspapers that pictures of the weird Crying Boy were frequently found intact in the rubble of houses that had been mysteriously burnt to the ground. 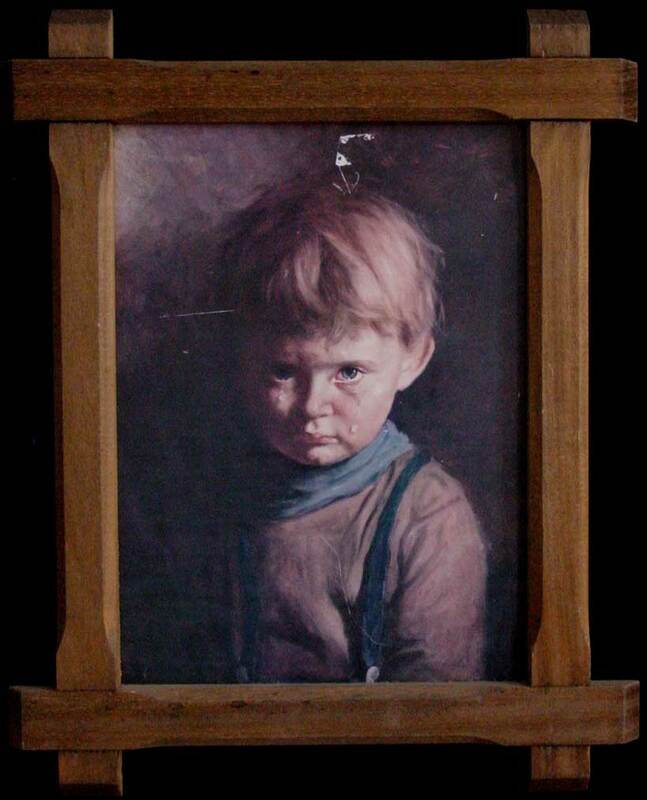 The reports of the unlucky painting causing fires are still occasionally reported; there was a Crying Boy picture found at a gutted house in Dublin in 1998, but no one as ever found out just who the child is in the supposedly cursed painting. One well-respected researcher into occult matters, a retired schoolmaster from Devon named George Mallory, claimed that to have uncovered the truth in 1995. Mr Mallory claimed he tracked down the artist behind the controversial portrait: an old Spanish postcard artist named Franchot Seville, who lives in Madrid. Seville said the Crying boy was a little street urchin he had found wandering around Madrid in 1969. He never spoke, and had a very sorrowful look in his eyes. Seville painted the boy, and a Catholic priest said the Boy was Don Bonillo, a child who had run away after seeing his parents die in a blaze. The priest told the artist to have nothing to do with the runaway, because wherever he settled, fires of unknown origin would mysteriously break out; the villagers called him â€˜Diabloâ€™ because of this. Seville ignored the superstitious priest and looked after the boy. The paintings of the little sad orphan made Seville fairly rich, but one day, his studio was mysteriously burned to the ground. Seville was ruined, and he accused the little Don Bonillo of arson. The boy ran off crying, and was never seen again. Then, from all over Europe came the reports of the unlucky Crying Boy paintings causing blazes. Seville was also regarded as a jinx, and no one commissioned him to paint, or would even look at his paintings. In 1976, a car exploded into a fireball on the outskirts of Barcelona after crashing into a wall. The victim was charred beyond recognition, but part of the victimâ€™s driving licence in the glove compartment was only partly burned. The name on the licence was one 19-year-old Don Bonillo; could this have been the same Don Bonillo who had been the subject of the Crying Boy painting eight years earlier? We will probably never know, as no friends or relations ever came forward for the body.